There is a picturesque corner of Tuscany between the mountains and the sea, bounded by rivers and blessed with an ideal climate. Here, the Counts of Sardi maintained an exceptional winery for over 200 years. Their legacy endures in Fattoria Sardi, where our unforgettably delicious wines are produced in careful harmony with nature, today and for the future. 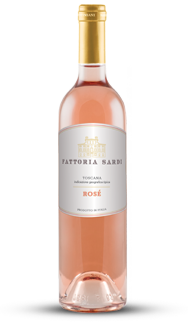 The Fattoria Sardi winery is located in northwest Tuscany, nestled in the countryside between the Appennino Mountains and the Tirrenean Sea. It sits between the Freddana and the Serchio rivers, just a few miles from the walled city of Lucca. The proximity to the sea ensures a lot of sunshine and constant ventilation. Our estate was founded hundreds of years ago, by the Counts of Sardi who once ruled here. Today, we manage the Fattoria Sardi vineyard and surrounding countryside with deep respect for the rhythm, harmony and balance of nature. Our growing practices comply with the European specifications of organic agriculture and uses biodynamic agricultural tools. 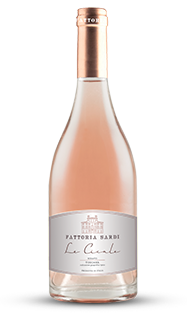 Pair your delicate dishes with this satisfying, floral, mid-tone rosé.